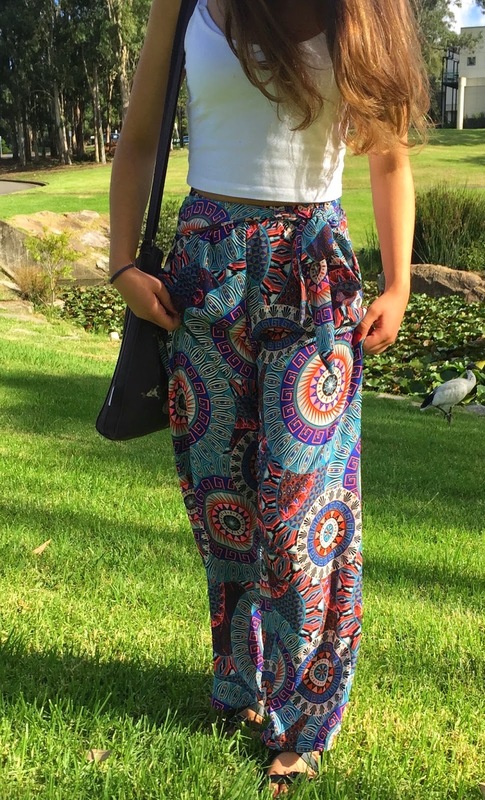 If you've been reading my blog, you would know one of my first posts were palazzo pants. I've invested more money into a few more. I've picked two that are more vibrant and unconventional. I paired both with a white crop top in order to keep the pants a statement. The first pair I'm wearing is very colourful and has a belt that is in the same pattern. I tied it so that the knot is on the side, which I think is the most flattering way to tie it. I really love this pair because it has great colours and the pattern on it is amazing. This will be the perfect outfit for anyone who wants to be comfy and still look like they put an effort. The second pair is made up of two colours;beige and petroleum blue. It is a lot more structure than the first pair as it zips around the waist. The pattern on it is beautiful it reminds me of mosaic tiles in ancient buildings. For both combinations I chose to pair them with comfortable footwear as I wore them during the day. However, if you are thinking of wearing these pants for an evening occasion it would look absolutely in place with some great heels. I am highly aware that Australia is currently experiencing some cold winter days. For that reason in order to transform these outfits replace the crop top with a simple white knit and also wear leggings inside the palazzo pants for extra layering. I have styled it like that before if you want to see a picture head over my Instagram (Link in above tab). Also, don't forget a cardigan! Before I wrap up this posts I should mention that both pants are from ICE. It is a store in Australia that is so affordable. 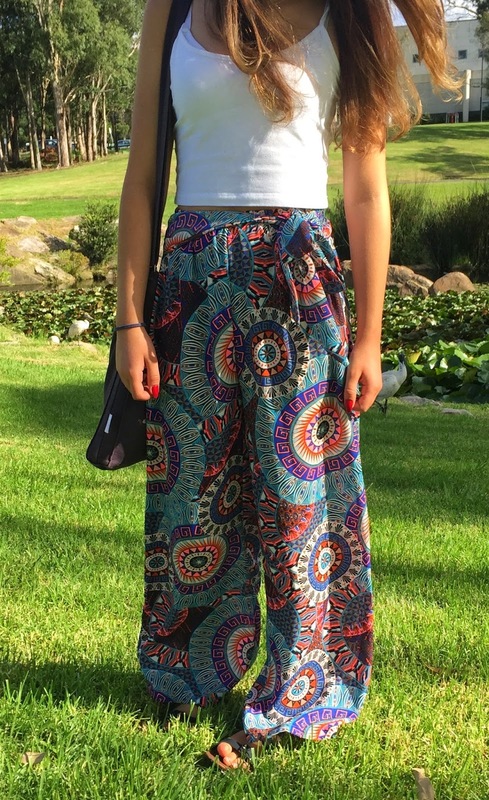 However, for those that aren't able to find it in ICE or do not have access to one of their stores I found alternative sites that sell palazzo pants. Click on the links below. Hopefully, you'll be able to access them as I am obsessed. Thank you for reading this post. Much appreciated.